Three ballads. 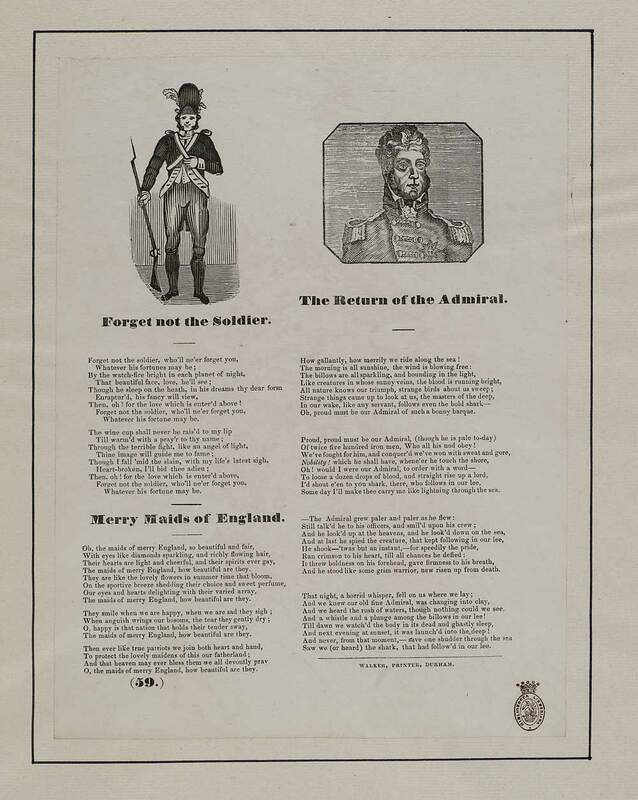 Forget not the soldier - first line reads: Forget not the soldier, who'll ne'er forget you. Merry maids of England - first line reads: Oh, the maids of merry England, so beautiful and fair. The return of the admiral - first line reads: How gallantly, how merrily we ride along the sea!